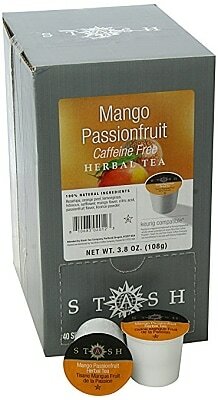 Enter here to win this Passionfruit Tea!! Have you subscribed to my blog so you don’t miss out on Future Giveaways??? It is soo easy to do, just click on the right hand side of my page and enter your email address…it’s that simple!! How would you like a chance to share this TEA ? with your favorite Valentine? ❤️️ Thanks to our great sponsor THREE lucky winners are going to get a chance to do just that! Entering this giveaway is easy just complete the entries on the widget below. Remember the more entries you do the better your chances are to be a winner! I like to drink Tea in the afternoon. My favorite time to drink tea is the evening, after dinner. The first thing I do when I get to work every morning is make myself a cup of tea. This looks so good and refreshing on a cold winter day. Tea is great for everything; helping colds, staying hydrated, and keeping warm. And it’s not packed with sugar. I drink tea at anytime of the day because I can drink caffeine all day long and still sleep with no problem, Thank You for the Giveaway!!! !